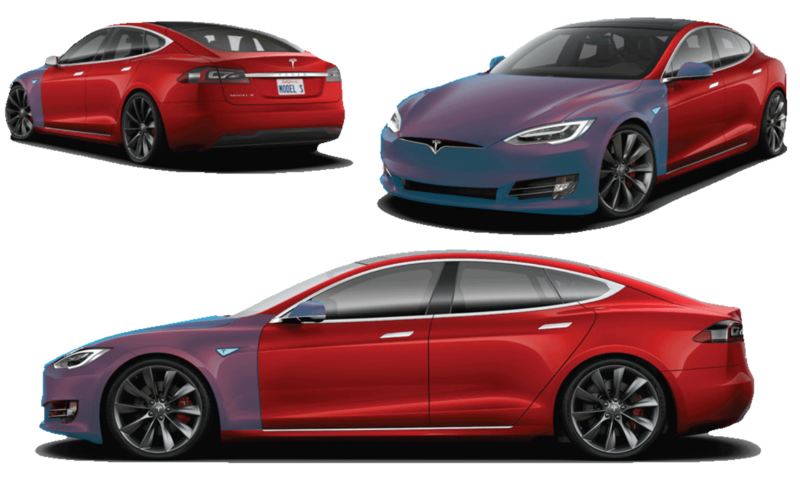 Prevent rock chips - Paint Protection Film - EVS Motors Inc. If you drive on a lot of highways or through construction on a daily basis, to prevent rock chips is a big deal to you. There is really just one way to avoid rock chips unless not driving your car is a realistic option for you, but where is the fun in that? Even if you have a car that is a garage queen, eventually it will be driven. We see it way too often. People pick up their cars and think they are fine without any paint protection and within the first week they have 10 rock chips and nothing they can do about it. There is always touch up paint, right? Well, if you want your paint to look flawless, touch up paint is definitely not the best way to go. Ready to prevent rock chips? 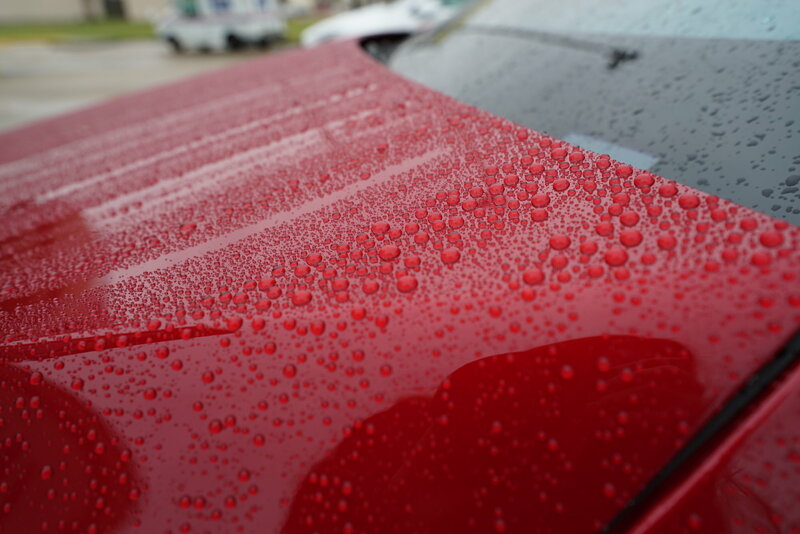 Regardless if your car is brand new or used, you can always prevent from more rock chips and damages. Getting paint protection film installed is the first thing you should spend money on. Why? Once you drive the car off the lot at the dealership, your paint is exposed to damages. If it is loose gravel, road debris, shopping carts and such, small damages can occur right away or 3 months down the road. The best option is always to protect the paint while it is still flawless to give you the best result. We have been in business for over 15 years and worked with many products. Since we always look for the best products for our clients we ventured out and found ClearGuard Nano. This is the best paint protection film on the market with one of a kind durability and combined with the most clarity. Both play an important role in achieving a great result. But our film does more than that. It comes with a hydrophobic top layer which allows water to bead off. This makes the film less static than other brands and allows for your car to stay clean longer. Finding a good product is just 50% of the result. The other half is a proper install. You might have seen people give crazy low prices because they work out of their garage or because their product is less expensive. However, often their work reflects the price. Paint Protection Film is something that should stay on your car for years. Do you really want to drive around with a bad looking film? Yes, it is paint protection and not paint perfection but you still want it to be properly installed to ensure a long lasting product. The majority of people choose a full front end paint protection to prevent rock chips. This includes the front bumper, the full hood, full fenders and mirrors. Some clients choose to cover the entire vehicle but it is ultimately up to you. We recommend to do at least the front end since that is the area that is exposed to rock chips the most. Any painted surface can be covered and we can make custom packages that are fitted to your needs. If you are interested in a standard front end coverage there are a few additional things you should consider. Door edges, partial A-pillars which are the panels between the windshield and the front door windows and of course the luggage area are popular upgrades. A standard full front end starts at $1800 depending on the vehicle. We offer free rentals for the duration of your appointment and have specials going on multiple times a year. Make sure to contact us directly at 888.878.2213 to check pricing and to book an appointment. You are welcome to stop by our studio in person to take a look at our product display.